As we have said many times before here, country music is a hard road. There’s the constant battle to gain the rewards of radio. There is always the competition. In the end, if playlists were fair, it should be the song, the melody, the voice. But, and more often than not, they are not the rules for radio. 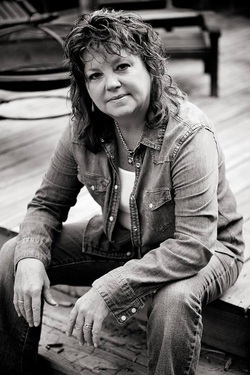 Meet Karen Wiltz She hails from the same place as Mark Chesnutt. That would be Beaumont, Texas. The legendary George Jones once tagged Chesnutt as “the real deal”. Well, waiting in the wings is an act that I am happy to label likewise. You will not find Wiltz on the covers of country glossies and you would be wasting time waiting for her latest video on CMT, and radio play, sometimes. However, she lets her writing and her voice carry her musical message. She is a member of that prestigious fraternity of independent acts, those who sing and play, regardless of fame or fortune, for people who will listen. Thanks must go to those promotional CD labels, the ones who stock the turntables of community radio stations. Had it not been for a recent arrival, I would have missed hearing Wiltz’s latest single, “Blue Moon Tonight”. Believe me it would have been my loss. own material. Again, it only proves her “waiting in the wings” passage is destined for a sunnier climate.